Here's the last of the Christmas gift rush stories: a beautiful wild-flower silk bridal bouquet near and dear to Lee's heart. Lee was hesitant to have this gorgeous bridal bouquet recreated for his wife because he worried it was going to look cheap and tacky. I assured him that I shop at neither Cheapskatecraft.com or Tackytown Supply Stores. Those are not real places, and if they were I would boycott them. 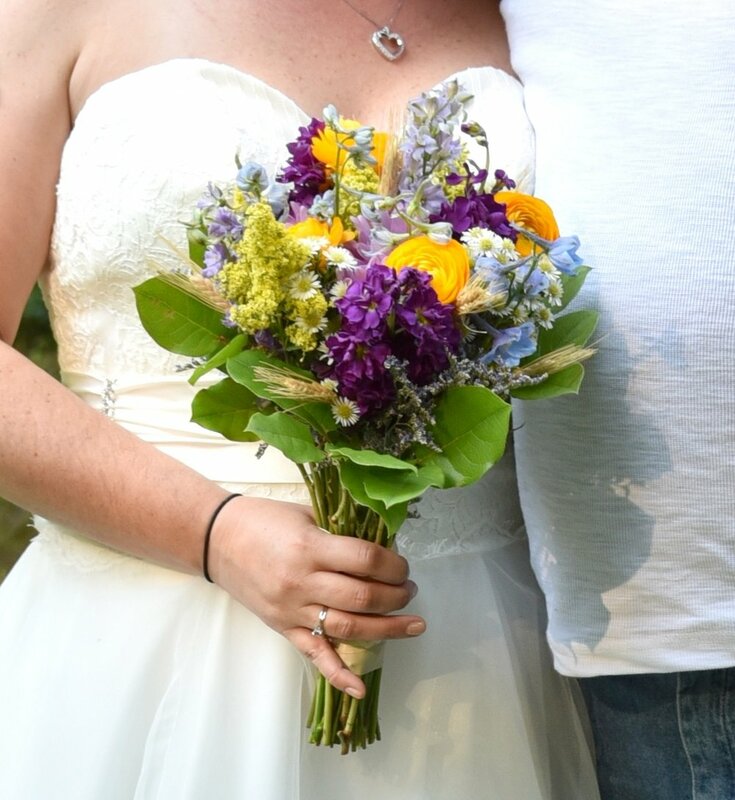 Part of the reason Lee was on the fence is that he designed his wife's bouquet as a surprise on their wedding day. She had decided she didn't need flowers and Lee decided that was nonsense. Smart man, right? So he met with a florist and chose the flowers and style for his wife to carry. Now you can understand why he wanted to get this right! Take a look at the outcome! 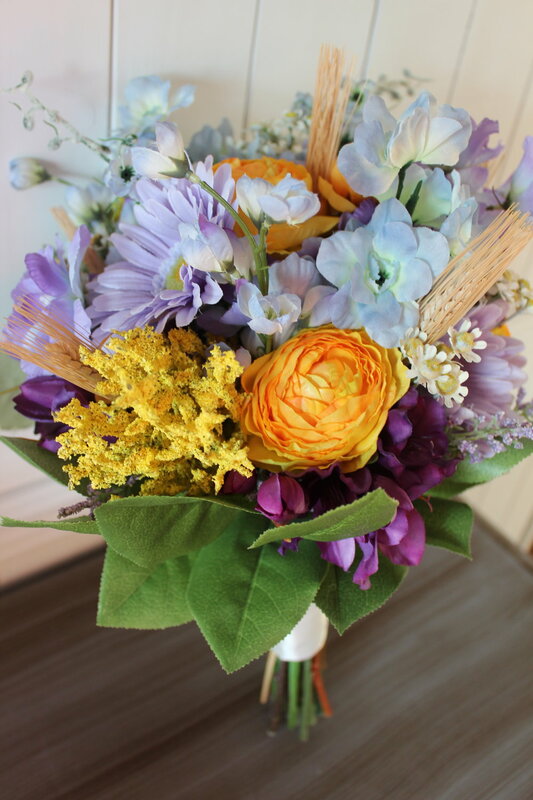 And the original bouquet. Photography provided by Steven at Photos By Blair. If you are a Michigan couple, check out his website! Contact me today to become a better gift giver!